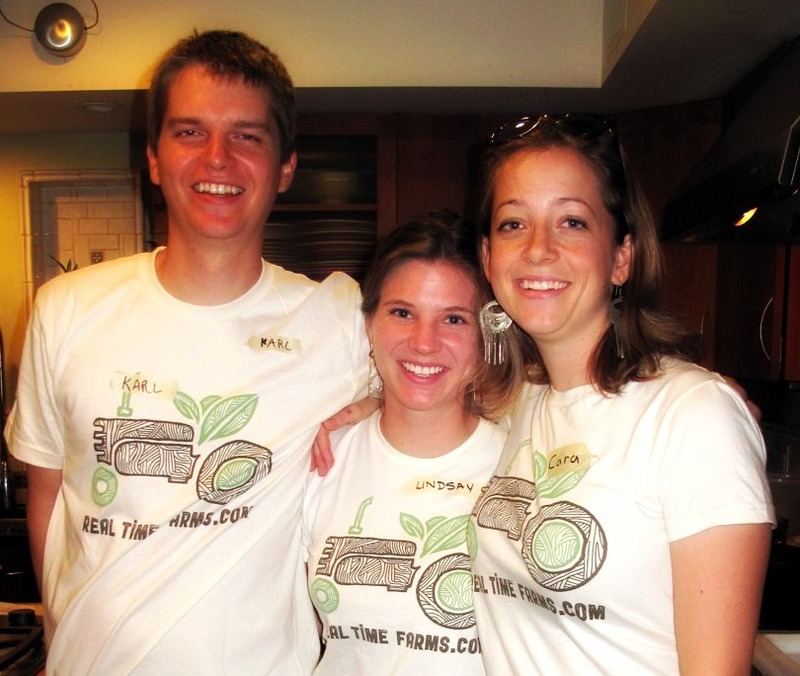 Real Time Farms is a web platform that uses crowdsourcing to help you understand where your food comes from. Local Food enthusiasts contribute geo-tagged photographs, tips, and edit information about what’s available at local markets and farmers. Kind of like the Wikipedia of farms, anyone can add or share information. 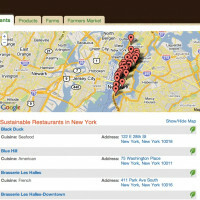 The site also offers subscription-based marketing tools for restaurants, caterers, and grocers. Inspired by his web 2.0 savviness, ex-Google Android Software Engineer Karl Rosaen founded the site to address the information gap for real-time data about what was available at farmers markets, farm stands, and locally-sourced restaurants. I got a chance to catch up with Real Time Farms Gastronomic Guru Lindsay-Jean Hard to learn more about the site’s business model and what motivates users to contribute to their crowdsourced database. 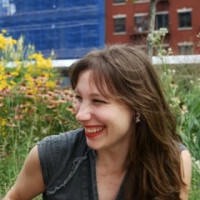 Danielle Gould: What was the inspiration behind Real Time Farms? Karl Rosaen: I think it really sprang from two motivations. First, after reading books like ‘Omnivore’s Dilemma,’ and seeing movies like ‘Food, Inc.’ and others, it became important to me to know more about what I was eating and where it came from. I was working as an engineer at Google at the time on Android, and while I loved it, I had a burning itch to try something on my own. While I found many regional local food guides and a few national, I felt I could help harness the energy of the people with new technologies to co-create one comprehensive and dynamic food guide. The overwhelming amount of information about food out there makes the process of making choices that are healthiest for ourselves and the planet confusing and time-consuming. I wanted to create a single place that anyone could visit to learn about their local, farm fresh food, how it was grown, and where they can find it, and feel confident in their decisions. Second, I felt that I could help create a space where everyone could work together to share information and photos to give voice to the farms and farmers across the country. Underpromoted farm fresh items often get lost in the shuffle of other food products at your local retailers. A farmer’s signature item, say garlic from Mills Farm, could become a brand in and of itself, just like any other favorite product. Using Real Time Farms as our tool, we can all help equal the playing field. DG: How does the site generate revenue? LJH: Definitely the key question for a start-up! 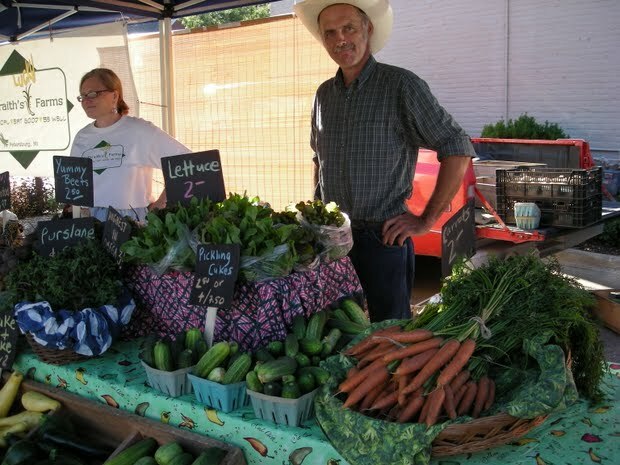 The site will always be free for farms, farmers markets, and food artisans. We generate revenue from the top level food purveyors like restaurants, caterers, and grocers. They pay a nominal monthly fee to be a part of this ever-expanding food guide providing tools to showcase and highlight all they do to source locally. They get a highly interactive page linking ingredients from each locally-sourced menu item back to the farm that it came from, giving consumers a true look into the story of their food. We are currently working with eight customers to hone and polish our product, add features that they would use, and refine an elegant, easy-to-use, self-service interface. We plan on expanding very soon. DG: Why do you feel it’s important to excite and educate people about where their food comes from? Lindsay-Jean Hard: I think food is naturally exciting, the seasonality, the colors, the number of varieties of fruits and vegetables, all of the different ways you can cook it, the joy of seeing someone experience a new taste for the first time – I could go on and on. I really enjoy walking through farmers markets and unique groceries to see and experience new types of foods, and I don’t think I’m alone in that. Excitement is contagious. We think when people get excited about learning where their food comes from, they are led naturally towards choices that are healthiest for themselves and the environment. DG: How do you differentiate yourself from websites such as Local Harvest? LJH: We’re different from other food guides for 5 main reasons. First, from the consumer side, we are the first nationwide food guide to show the connections between all parts of the food web and track these connections throughout the seasons. Some websites have static profiles for some of the dimensions of the food web we cover, but fail to show the connections in as rich a way as we do. They don’t have systems in place to catch, in real-time, what is actually available and in-season in all sectors of the food web. Second, farms are the heart of our site, they are where all produce originates from, regardless of whether the goods end up on a restaurant menu, in a grocery store inventory (a future plan), at a farmers market, or as an ingredient in an artisanal food product. Our plan for farm profiles is to be more extensive in scope than any other existing food guide. Users will be able to know what they are eating on as deep a level as they want. Other sites simply have a list of growing practices which may or may not instill confidence in the users. Our farms will be coded with common growing practices, but will also probe farmers for detailed information on qualities and management of land, animals, plants, and water (e.g. soil testing, pest management, animal feed, soil preparation and maintenance). Users will be able to know about the health of the entire ecosystem that their food is coming from. Third, no site is structured to harness the passion of the foodie community to provide real-time information about what is available on a week to week basis. 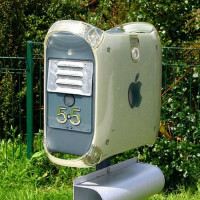 This participation provides users a sense of ownership missing elsewhere. Fourth, we have a fresh take on the food guide experience, including a clean design and integration with the rest of the web in ways familiar to web 2.0 consumers. Users can interact with Real Time Farms data as both users and contributors from the site and from their mobile phones. Finally, we are the first website to provide marketing tools for restaurants and food retailers to specifically show how they are sourcing locally. 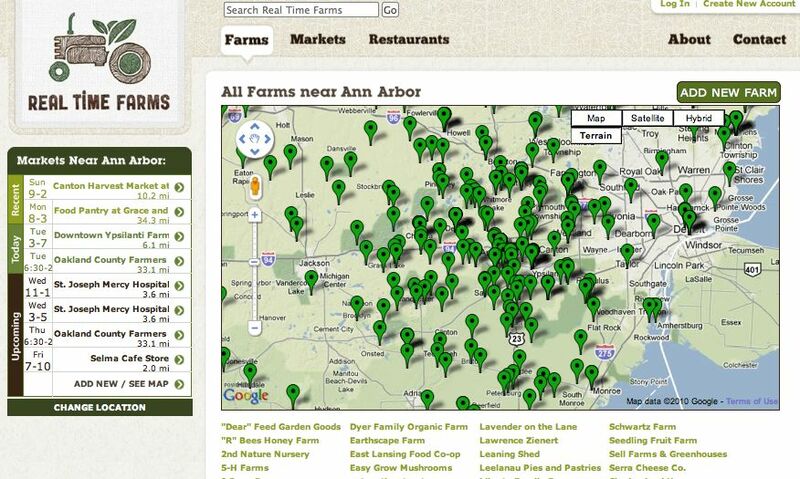 They can market their commitment to sourcing locally grown foods in a very transparent and engaging way. DG: What main use patterns have you noticed? Are any of the patterns different than what you anticipated? LJH: Generally the number of users has been relatively constant and climbing, with occasional notable spikes in visitors. We were ecstatic to get national press as soon as we did, which brought, on some days, thousands of visitors a day. We expect the number of users to climb as we continue to launch new features and designs. DG: What incentives do users have for contributing pictures and stories to the site? LJH: We were pleasantly surprised in one of our first user surveys, that when we asked users what would motivate them (out of a long list of features such as coupons, social badges, etc…) to contribute, they felt the biggest motivator was the knowledge that their photos would help promote their local farmers and farmers markets. This feeling that they can do something to make a difference and that we all create Real Time Farms together sparks people’s intrinsic desire to help. We like to say that our site is “powered by the people,” meaning that anyone can add and edit information, and share photos from their local farms and farmers markets. Their contribution matters. DG: What has been the greatest challenge you’ve faced? LJH: I think one of the greatest challenges has been getting the site to match in real life where we all see it in our heads. We’re in the process of a major site redesign, and there are a number of exciting features that we want to implement. Let us know if there is anything that you would like to see, and check back often for new updates and features!